I love seeing how children develop. Watching an infant creeping to a crawl. Cruising to walking. I have mentioned Otis walking with his walker wagon before (here and here). It's perfect for a beginner because it is so stable. Now that Otis is more confident on his feet he has taken to walking with anything. He's not just cruising here. He's actually walking around the entire house, even over carpet with these. I have also recently noticed how tall babies look once they start walking. One moment they appear to be infants crawling around, then toddlers standing tall! We had finished playing Connect Four when Caspar and Otis begun to fill the frame with tokens. No strategy just having fun putting all the tokens in. Watching Otis's hand action made me think he was ready for a coin box. I have not purchased a coin box and when Caspar was little I made one out of an empty yoghurt container. This DIY is a compromise. No natural materials and not beautiful. It's functional but still a compromise on the traditional Montessori material. I asked Caspar to give Otis a lesson. Caspar loves this. He is channelling his teacher. He is patient and slowly shows Otis what to do. Otis probably didn't need a lesson. I haven't put this on his shelves yet but when I do I'll present it on a tray like this. I have mentioned this coin box previously on a post about using coloured tokens. There are other options to a yoghurt container. A box, tin or jar could all work well as long as there is a slit at the top and a way the child can retrieve the tokens. I have a super busy week planned so I won't be back posting until the weekend. However I will continue to update our Photo of the Day. During the school holidays it's important for us to take the opportunity to spend some days at home. I don't want my children to feel bored easily. I want them to use their minds and imaginations. Not to look to me for something to do, for entertainment. So we allow them as much free play as possible. Outside I try not to hover but stay nearby. Otis is frequently physically constrained by closed doors. But leave our back door open and this is where you will find him. Here or at the strawberry patch. It was actually rainy today. While I am happy for some wet play I decided to put a beach shade over the sand pit. That way he could stay in it all day. He's feeling better too. Sporting new molars! Using a stacker is good for a child's hand eye coordination, concentration, focus and spatial awareness. Some stackers are also good for learning shapes and colours. These are the stackers we are using and rotating with Otis at twelve months. 1. Rainbow Stacker. This looks beautiful sitting on the shelf. 2. Ring Stacker with Colour Discs from Beginning Montessori. This stacker is a favourite of mine because it is really four stackers in one (have a look at their site to see what I mean). Different sized discs makes this suitable for a wide range of skill levels and keeps the interest of the child. 4. Horizonal Stacker. I love this. It requires the child to think a little differently. I have found this requires a little more skill and coordination than the other stackers. This is currently above Otis's skill level. Do you have a ring stacker at home? They are not only a Montessori concept. I remember having a plastic version when I was young. It's easy to present a stacker on a small tray especially if your child is walking. It's good practice to carry their own materials and a tray makes this easy. Also I have started presenting the stackers with a basket as shown below. Rather than putting the rings on the table, where they can roll away, having a basket lets the child know exactly where they go. I have seen a couple of stackers with a built in hollow or dish to keep the rings. Clever. What do you do with your used Montessori furniture and materials? I think in a year or so I will need to have one large Montessori garage sale. A new book you need to know about. Learning Together by Kathi Hughes. This book was only released last month. I think you can see Finn from Sew Liberated on the cover and there are a couple of Meg's photographs inside. There are also contributions from Charlotte (who wrote Let's talk about Screen Time Part One and Part Two) and Meg from At Home with Montessori. There are also many contributions from other parents with lots of real life examples and suggestions. It's such a lovely book visually with lots of photographs and easy to read text. My favourite chapters are Chapter 3 - A Montessori way of life, including sections on Engaging the child with the routines of living and Promoting positive behaviour, and Chapter 4 - Creating a Montessori-inspired living space which includes ideas, tips and concrete suggetions for Montessori inspired bedrooms, playrooms, kitchens and more. This is the most comprehensive Montessori at home book for children of all ages. It is a great book for families new to Montessori, it is fresh and engaging. It's also a great book for those who know a little about Montessori but are not sure how or where to start. That's the point isn't it? So many people feel overwhelmed at what they feel they should or shouldn't be doing, at not being able to do it all. There are a lot of resources that make Montessori look and feel harder than it should. Montessori is really about living simply and beautifully, this book will explain how to do it. If you've read this book I'd love to know what you think. Would you recommend it to others? This is Part Two and the final in this series. Part One can be found here. Charlotte continues to answer my questions. 2. You have four children, how does screen time work in your house, are there different rules for each child? I have to say at this point that I am not unrealistic about the use of technology now within everyday life, but I do think that children’s exposure to it can wait. We still have one tv in our house and it is still capable of playing dvds, although as explained before no longer has the capacity to show terrestrial channels. It was surprising how quickly our eldest two children adapted to the terrestrial television being switched off over a year ago now and the pair of them will sometimes go for weeks, especially in the summer, and not watch it or even ask for it at all. Occasionally they will ask to watch something and so we take them to a local library and let them choose something from the children’s section that they would each like to watch. When we get home they agree which film to watch first and then watch one film one day and the next another. We restrict the time the telly is on for, between 40 minutes to an hour and a half, about the length of a child’s film and then when the film/programme is over one of them will usually get up from where they are sitting and switch off the set by the wall plug themselves. When the television is on either myself or my husband is downstairs with them and one of us takes our youngest two children upstairs to another part of the house to play where there is no television. This type of situation usually only happens around once or twice a month. My eldest two, J, nearly 7, and A, almost 5, also go to the cinema with my husband during school holidays to see a movie whilst I stay at home with my youngest two, F, 2 and S, 8 months. F and S don’t have any exposure to screens at all at present and so I keep them away from them. None of our children have ever played computer games and are not allowed on the home computer at present as we believe them to be too young, agreeing that children are better equipped to handle computers when between the ages of 9-10 years at least. We do have a laptop but when it is not in use it can be closed and placed up on a shelf out of the way. Since we have done this myself and my husband have noticed greater creativity and spontaneity in what our children do and we both really feel we are encouraging the use of their imagination more. 3. How do you handle outside pressures? More and more in the U.K., where we live, there are screens everywhere, in banks, in restaurants, hotels, and bizarrely, in indoor children’s play areas. My solution to this is to physically avoid them where I can. If in the bank I face the buggy with my two youngest two away from the screens, and I just don’t go to play areas where they are overbearing. When it is unavoidable, like for example, at my local dentists where there is an enormous television screen in the waiting room, (which completely negates the presence of the toys and board books that have been carefully placed) I simply ask the receptionist if I can switch it off. The staff here have never refused my request. The other outside situation where screens pop up is at friend’s houses. I think whether this is a problem or not really depends on the friends that you have. For example, I have a friend who doesn’t like her son playing with toy guns so I make sure I put any we have away before she and her son arrive. When I go round to her house she switches her tv and computer off. We both, at separate times, politely asked if this could be the case and we respect each other’s wishes. If you have friends who don’t respect how you wish to raise your child/children then are they really worth having as friends? 4. Finally, any tips for me or other parents struggling with this issue? Be aware that many living rooms are set up with the tv as the main focal point with all the seating pointing to face it. It’s easy to change this dynamic be re-arranging the room or even hiding the tv when it is not in use, such as placing it in a cabinet that can be closed or even by hanging eye catching art on the walls in the area that can take the emphasis off the screen. If the television or computer has to be on for a certain amount of time when it is finished with switch it off. Don’t leave it on in the background constantly as your children will become normalised to this and it will be harder and harder to switch it off at all. Avoid programmes that have rapid successions of images such as some cartoons, music videos and adverts. Try putting on an age appropriate old fashioned black and white film, they are much more slower paced and add change to what your children watch. Help children feel they have choice and encourage decision making by taking them to somewhere where they can rent an age appropriate movie. Try and be with older children when they are watching programmes, try not to rush away to do errands and try getting them involved with your housework another time instead. Place plenty of space between the children and the screen so that it doesn’t entirely encompass their vision. Use other methods of giving information or entertainment such as audio plays or radio, your children will develop their listening skills and also will be able to formulate their own ideas of what or who is in the story in their heads, so using their imagination. My eldest son particularly enjoys a cd about Norse myths and knows a lot of the names of mythical gods and places. Play your children different types of music, classical as well as modern. My two year old loves dancing to Shostakovich’s Jazz suite no.2, waltz no.2. The positive effects of music on children’s development has been widely documented. Be sure to have lots of other things for your children to do in the absence of screen time; plenty of craft materials, books, pens, paper, paint and try to have an outdoor area such as a garden where they can play. My children tend to want to draw, play with play dough, write stories or read after school hours when a lot of people put the telly on for their children. Avoid computer games. I believe there is nothing beneficial about them. They waste time and violence is often the only solution to an on-screen character’s problem 99.9% of the time. Instead look at the computer more as a tool. Show your child that if he/she doesn’t know something then it can be used to find out information. For younger children and baby’s provide an environment rich with sensory experience such as heuristic play and treasure baskets. These are easy to find out about and put together and the benefits to a child’s development are enormous often absorbing children’s concentration for huge amounts of time. Don’t be afraid to speak your mind politely to others. If you are uncomfortable with a situation then you can change it, that is your power and right as a parent. Any changes in children’s habits takes time and commitment from parents but the benefits are really worth it. Also because it takes more time and commitment it really does mean that you will spend more time with your children that would otherwise be lost. Thank you Charlotte for taking the time to answer my questions and sharing with us. Charlotte has agreed to answer any questions you may have so please feel free to ask a question in the comments section. Montessori, Weaning, Infant, Cube Chairs. No matter what you call them these chairs help to foster independence in even the youngest child. Some children can sit upright very well at six months. Mine couldn't so a solid, sturdy chair with a back and two sides was essential. At nine months Otis could use his chair independently, he could get in/out/up and down. The child doesn't need to use the chair for weaning, it also makes a great place to sit and work. Here is a round up of some chairs available in the US, UK, New Zealand and Australia. 1. Me-Do-It Chair by Community Playthings in the US. They also have a UK site with a nice blog. We purchased our chair in Australia though Wonderland Rehab & Child Care Products found through FAS Therapeutic Equipment. The chair comes in 5" and 6 1/2". 2. First Chair by Michael Olaf. 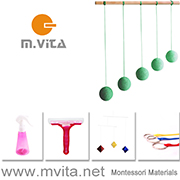 Michael Olaf is a highly respected supplier of Montessori materials based in the US. If you haven't visited their site before please do, it's essential reading for anyone interested in Montessori. 3. Infant/toddler "weaning" Chair by the Lord Company based in the US. 4. Chairries Chair by Jonti-Craft. This chair is available in a variety of heights starting at 5". It is available from a couple of online retailers in the US. 5. Poppet Infant Chair by Grocare available in Australia and New Zealand. I love the curve, it looks really modern. 6. Wooden Toddlers Chair by fastindustries on Etsy (based in the US) which at 8" is a little high for an infant, but have a look at their Wooden Infant Weaning Table and Chair Set, the chair featured in this set is 6" high. 7. Montessori Cube Chair featured at Sparking Bay from Dovetail Carpenters in the UK. 8. 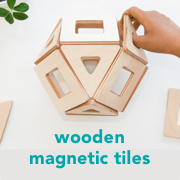 Handcrafted Cube Chair from Montessori Child in Australia. 9. Multi-Purpose Small Chair from Think Education Supplies in Australia and New Zealand. This looks a lot like the Reversible Small Chair at the Juliana Group in the US. Cube chairs have the advantage of two seat heights and the chair can also be used as a stool or small table. Just flip the chair over. I love the look when two chairs are used together. Some suppliers sell chairs specifically for the childcare and school market. If you are unsure about retail sales or individual pricing I suggest a friendly email or telephone call. If you have a woodworker in your family these chairs will provide inspiration for a handmade chair. Wouldn't that be nice! Please feel free to forward this to friends or anyone looking for a chair or leave a link in the comments to chairs that I have missed.